And yet again we are returning to the topic of Christmas Gifts. This time let’s talk about something for outdoorsy people; people who like nature and adventure and need something more rugged and specialize then your standard supermarket equipment. 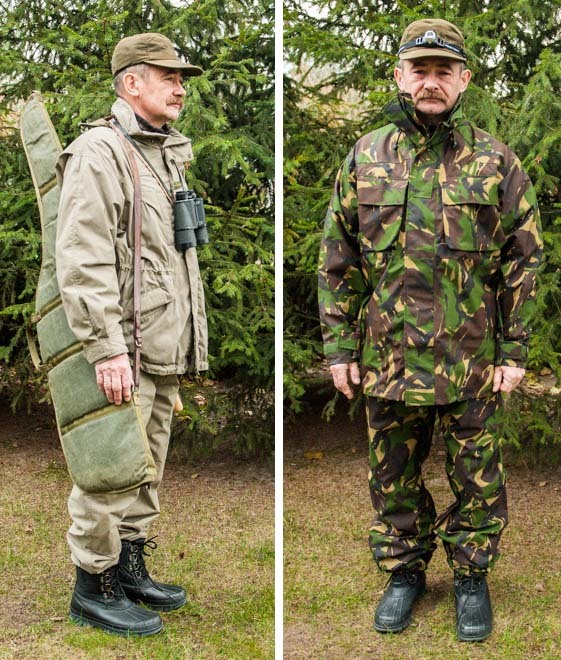 Doing my Christmas gifts list preparations I came across BushWear. 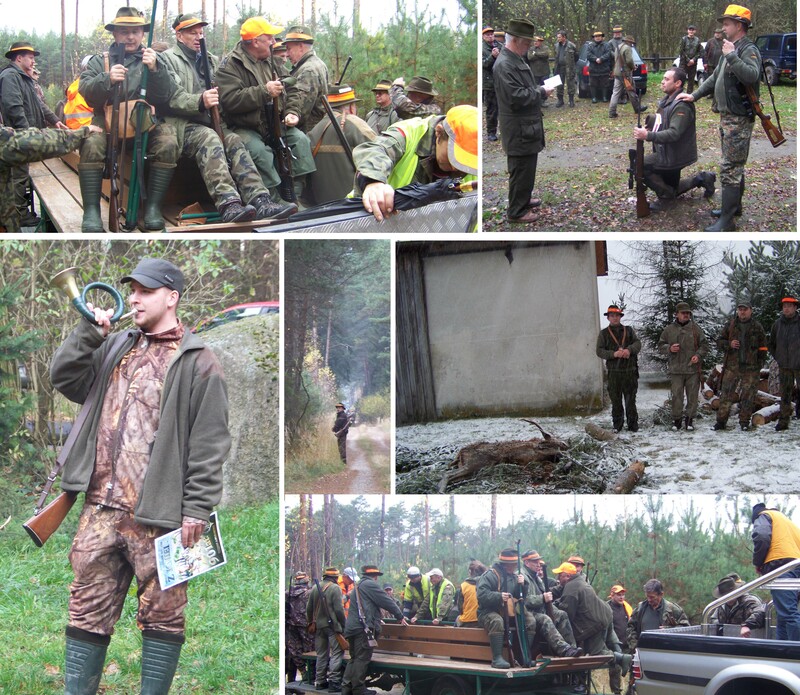 BushWear was born in 2003 in Scotland due to frustration regarding the lack of quality products for hunters and other likeminded people who wanted and needed more than the current market was offering. 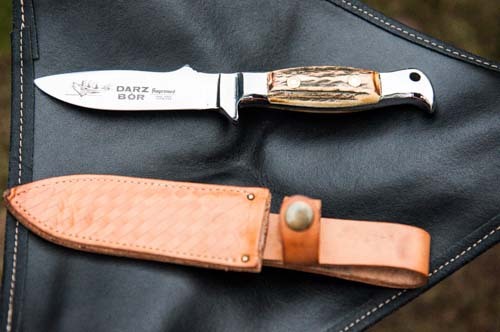 Currently BushWear stocks a huge selection of clothing including waterproof clothing, clothing accessories, footwear, gun care, stalking, knives, larder, books, DVD and gifts. They have it all in one place… and if there is something they missed, you can always ask and if possible they will source it for you. The first thing on my dad’s wish list this year is a new rifle scope. I was told not to buy anything below 2.5-15×56 specification. Apparently 56 is a very important parameter as it marks lightness of the scope. 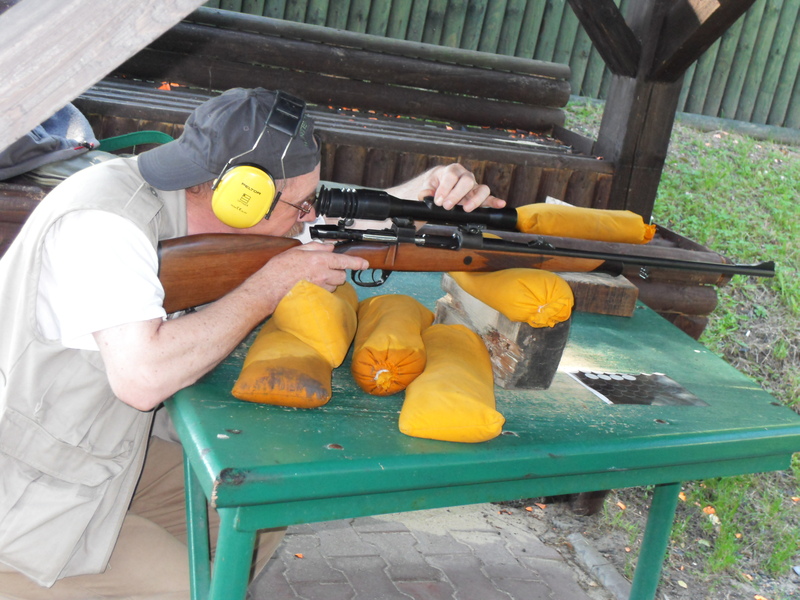 My dad’s eyes aren’t as good as they used to be so he requested something which will help him hit the target easier, which is the main point of hunting as an activity 🙂 I did find the perfect scope, but it is way outside my price range, so unless we can get some help from other family members, a new scope is out of the question for this year. Next item is a rifle rest… and this is where I hit my first bump… there is so many of them… and they are all very different… I always thought that a wish list is supposed to help you make a good decision regarding gifts, but sometimes all they give you is a bigger headache. 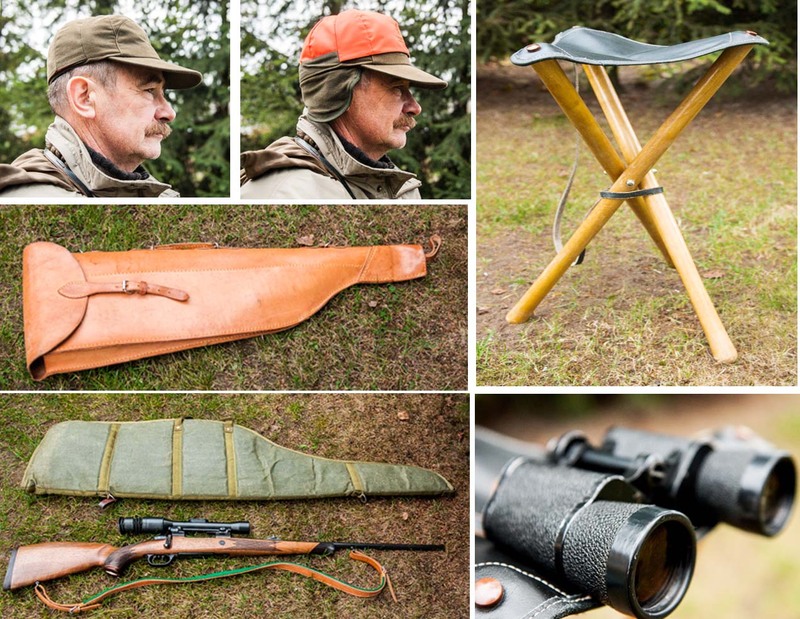 After making some additional sneaky enquires I found out that ideally he would need 2 of them – one for the shooting range, as the bags of sand he currently uses are not ideal, and a second one to take with him whilst out hunting… with this information at least I can realistically pick something which hopefully will be of use to him. Classic case of form over function. which seems to have everything; it includes a 12 component multi-tool, flashlight and fire starter rod. Every tool in the kit is outfitted with durable rubber handles for easy gripping, even with gloved hands. All of the multi-tool features are locking – needle nose pliers, wire cutters, wood saw, pierce, scissors, partially serrated blade and more. It really looks like a perfect tool. Actually the more I am thinking about it, the more I want one for myself as well. You never know when you might need it. Even though the last thing I hunted was a tissue. Do you have any outdoorsy people in your life you are buying Christmas gifts for? If so, what are you going for this year as the perfect gift idea? * Post written in collaboration with BushWear. 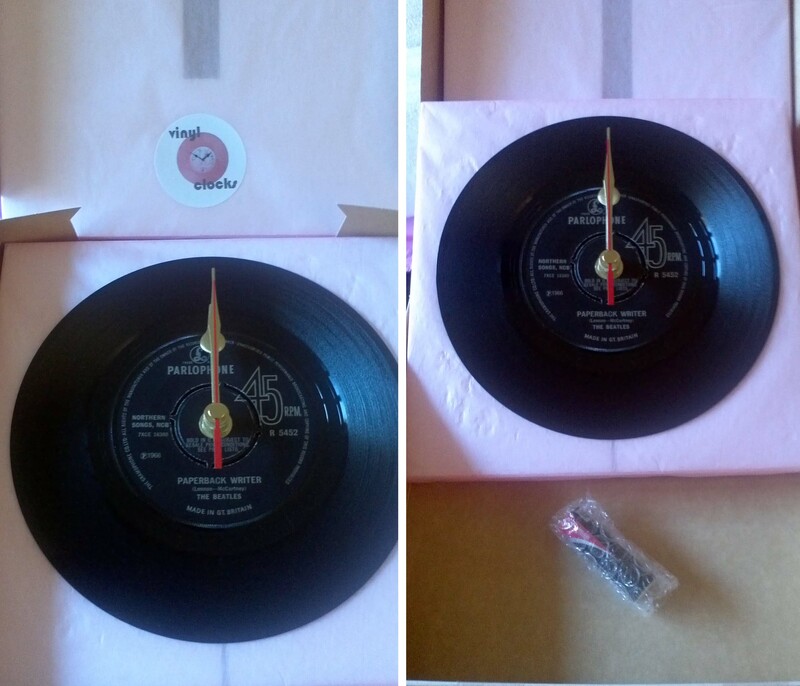 On Tuesday I spotted @VinylClocks tweeting again (not surprising really as I follow them), this time I answered and stated the obvious that I would love to have one… to my surprise after a few emails Tim, the guy I was chatting with, offered me one of their 7” clocks (that was yesterday). I didn’t choose my clock… but I advised Tim that something from The Beatles collection would suit us perfectly, Mark is getting on after all, plus any red detail would be an added bonus. Today, to my huge surprise, our postie brought me a lovely pink parcel. 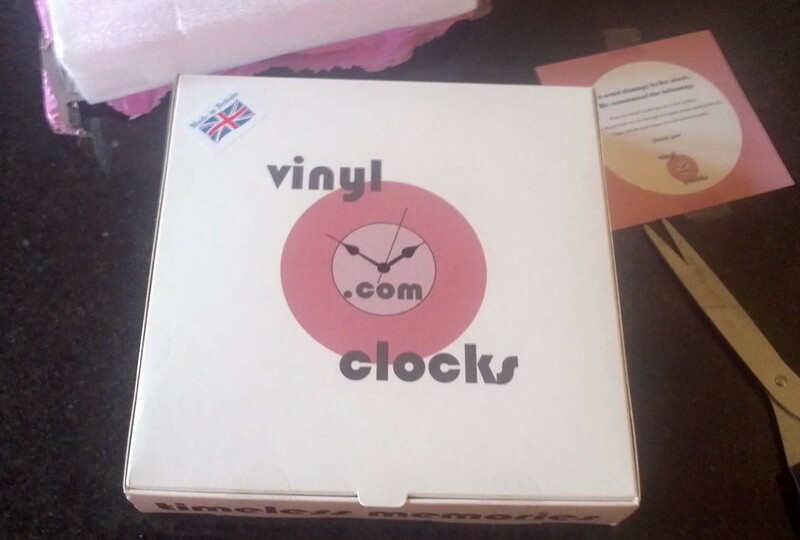 I wasn’t expecting anything, at least not yet, so I was very eager to check out what was inside… I am an envelope recycling junky so I cut the top of the shipping bag gently off (so I can still re-use it) in order to have a quick pick inside… there it was… my vinyl clock! It came very well packed in a shipping bag, Styrofoam, bubble wrap type thingy, box plus warning notes. Glancing at the first of the notes I thought “Ok, maybe I should just wait for Mark to deal with the clock when he gets home, so I don’t damage anything” but my curiosity won me over and I decided that waiting till 6 o’clock is not a realistic option. So taking all precaution as advised in the note I started digging for my clock. Small, precision cuts with a pair of sharp scissors through the bubble wrap thingy and I was already at the main box, easy. 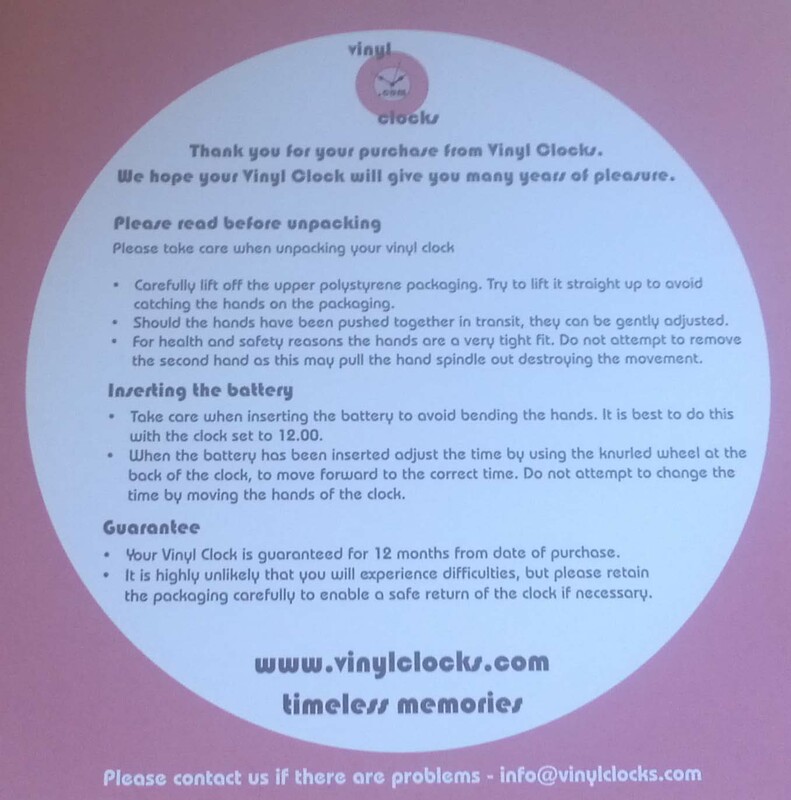 I took my time and read it all, twice, than started on dismantling the internal parts of the box in order to see my new Vinyl clock… I really wanted to see what Tim had picked for us – and there it was – The Beatles, Paperback Writer – a perfect song and a perfect clock! All of these is protecting your new clock in transit! The clock itself is very well made; it feels solid enough, despite being made from a fragile material like vinyl. The clock mechanism is well fitting, nothing rattling or coming loose. The clock arms are awesome – with two gold ones and one red, which zooms around like crazy as it counts of the seconds… ohh and it is not a silent clock… it makes an comforting gentle tick-tock, sound… the clock is supplied with a 1 year warranty (for your piece of mind, I guess). As far as I can tell, prices start from £13.95 +pp (£1 up to £4.50 for zone 3 international shipping). Vinyl Clocks offer a choice of 7”, 10” and 12” clocks. And to make things even better, you can request (free of charge) a gift wrap, including a gift label. Sounds perfect, isn’t? But and it is a big but, never forget that should you still own a gramophone, turntable or hifi system you can actually play your clock as it is a genuine record! How many clocks can claim that now! It’s not really about the clocks, it’s about the memories. Music evokes memories. It may be who you were with (or who you wanted to be with), where you were, or just a piece of music that moves you. We all have favourites / special songs. All we do is preserve them in time. The website ( www.vinylclocks.com ) is basically a very big juke box. You go on and choose the one you want, or more likely choose the one someone else will want! 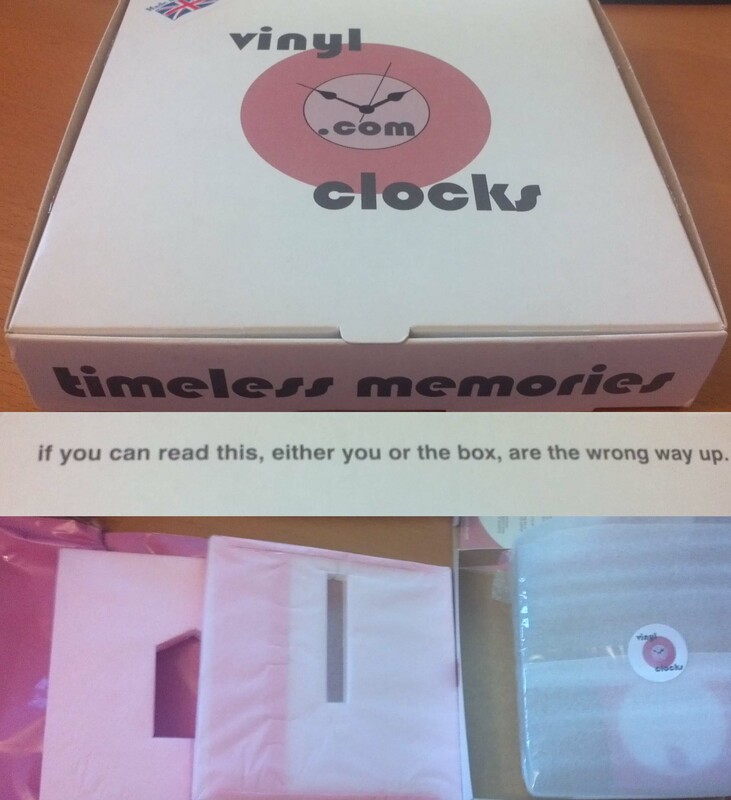 We then send the clock, and although the music isn’t playing, juts be looking at the label it will be in your head. This is what Tim said about the company and I totally agree with him. I love the idea of these clocks. Picking a perfect clock as a gift for someone you love and care about can be a great experience. And what could be better than a useful, elegant gift with an insight into their soul. A vinyl clock is a personalised piece of wall art, which also tells the time! If so, what vinyl clock would you get? I was sent 7” clock free of charge for review purposes. The opinions expressed in this review are honest and my own. With the internet and social media growing rapidly, there is always something new and exciting we have to keep up with. Same applies with companies… they have to change and evolve in order to stay competitive in the market or fall into decline… if they still won’t change then they run the risk of being replaced by new comers who will. One of these new comers is Instajunction.com. Instajunction brings your social media closer to you; they allow you to create personalised items using pictures which you have already shared on your social media. First thing – they offer a slightly different product range compared to many other companies. Wrapping paper, sticker books or posters are all within your grasp. Secondly – there is no need for an account. You can simply log on with your Instagram account and you are in. Once in all your pictures you have uploaded are visible and you can just pick whichever one you want to add to your purchase. No time wasted making an account, filling endless forms, refilling them again because you made one little mistake and it caused an error and then waiting for someone or something to send you a confirmation email. With Instajunction one click of the button and you are ready. Finally the website is easy to use and extremely user friendly. I love the internet and I spend a lot of time messing around but sometimes I simply get lost while trying to order something. There are no worries of that happening when using Instajunction. The ordering process has just 3 easy steps – chose the product you like – pick your pictures directly from your social media account – pay for your order. Then sit back and relax… and within the next 3-5 days your postie will knock on your door with a nice package for you. I actually wanted to get a Luxury Aluminium Plate but one is just not enough and I couldn’t really afford 4 of them 🙁 so I settled for my 2nd choice from the product range. 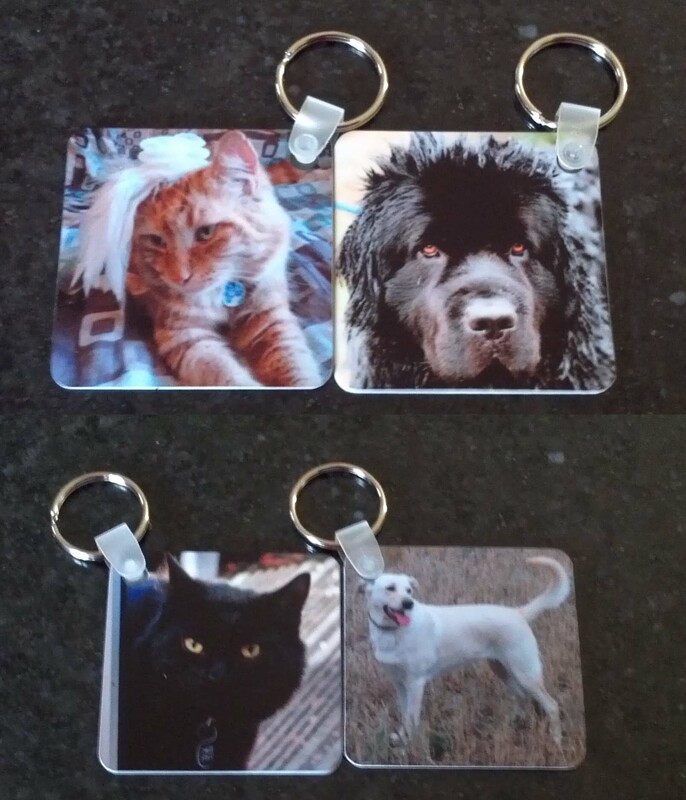 I ordered a set of 4 coasters as we use them every day and a set of 2 key-rings. I placed my order on Sunday evening and it arrived on my doorstep on Friday. Well packed in a “please do not bend” envelope. Every component of my order was in a separate polythene bag plus a detailed invoice with my chosen products and pictures included. 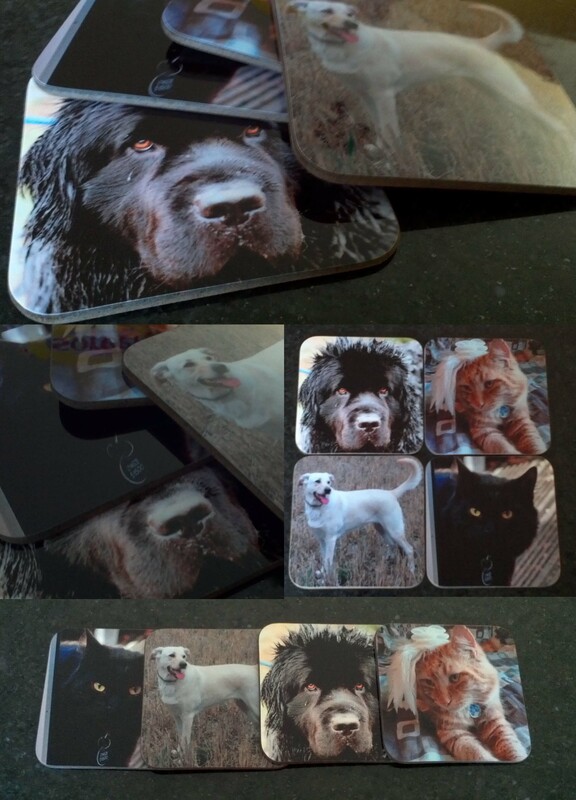 A set of 4 hi-gloss finished photos on wooden coasters, measuring 9cm x 9cm. Their quality is astonishing. They are quite chunky and feel heavy compared to the other coasters we have already in the house. I have long nails so in a moment of boredom I tried to pick the top layer off to see how robust they are… no luck there… nothing sticking out or getting unglued. I took the Ode coaster and washed it… this also didn’t do any damage… When the Ode coaster had dried out it looked like new again 🙂 I also noticed that they make sounds… ok, I know coasters do not talk… I am not losing my mind… yet… but the top layer is a plastic-like material so when you place your glass on top, you can hear it landing with this sound that is not the usual bump sound you would expect. I like it. I had a quick online research session and found the price to be competitive. These coasters are definitely not the cheapest out there, but also not on the high end of the price spectrum. Now that I know the quality of the product I would be more than happy to pay a few extra £s for them. This is actually a very good price, especially given that you can design both sides of it. You can have a picture on one side and a personal note on the other, or anything your heart desires – just remember that you will have to make a note earlier and take a picture of it. What do you think? Would you use a company which allows you to create products using pictures from your Instagram account? Oh, and I almost forgot… I have a 25% discount code which I can share with my friends. Code is FRIEND25BM and it must be used before 8/12/2013. Or if you miss this deadline I also have 15% discount code FR10BT6X which is valid until 31/12/2013. They are both multi-use. 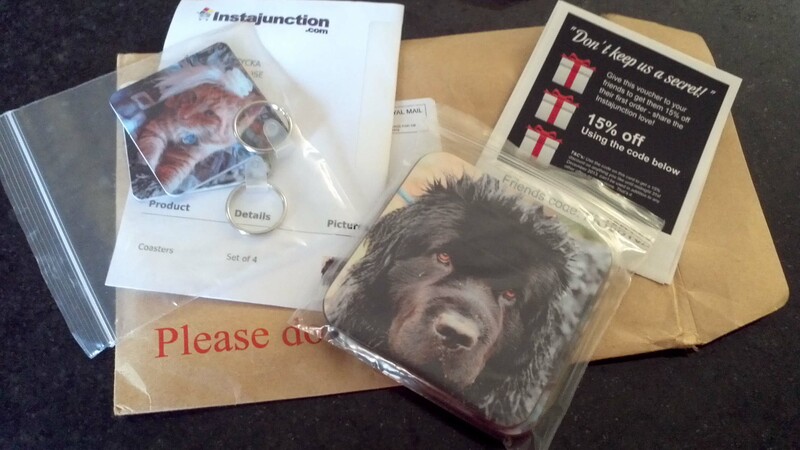 I received £25 credit from Instajunction via FuelMyBlog for review purposes. The opinions expressed in this review are honest and my own.